"Law reflects, but in no sense determines the moral worth of a society.... The better the society, the less law there will be. In Heaven, there will be no law, and the lion will lie down with the lamb.... The worse the society, the more law there will be. In Hell, there will be nothing but law, and due process will be meticulously observed." Grant Gilmore, The Ages of American Law (New Haven: Yale University Press, 1977), pp. 110-111. Original sketch by Black Crow, one of the named plaintiffs in Trapp, et al. v. DuBois, et al., a lawsuit to protect spiritual freedom in prison. 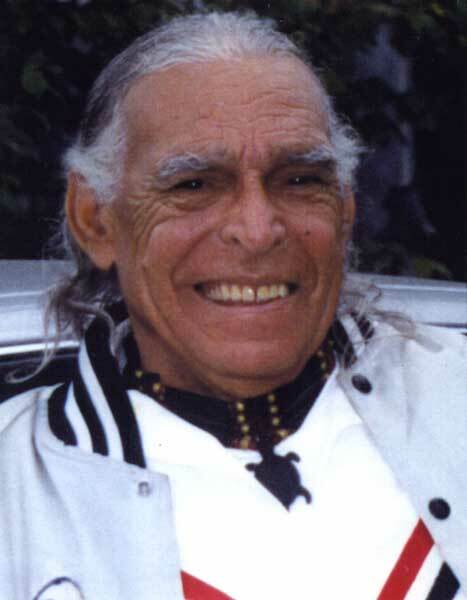 IN MEMORY OF SLOW TURTLE, Supreme Medicine Man of the Wampanoag Nation, who died October 27, 1997. Slow Turtle was an inspiration for my work and life, as he was for many others around the world. A poem by Bob Doyle describes the ceremony in which Slow Turtle's ashes were put to sea. "The Rule of Law versus the Order of Custom"
Phillip Deere, "An Understood Law"
"Sovereignty: A Brief History in the Context of U.S. 'Indian law'"
Abstract: Richland and Deer have built Introduction to Tribal Legal Studies on a life foundation. Their approach to law and the study of law is grounded in historical and contemporary realities of what it means to be a "tribal person." The result is a book "designed to ask how studying tribal law can give us insight into the institutions, practices, and beliefs that shape the everyday lives of tribal people" (2). This perspective informs the whole book, from the text selections to the pedagogical tools. The book achieves a remarkably difficult goal: It is simultaneously a work of critical legal history and a handbook for readers who intend to become participants in tribal legal systems. This double virtue cuts through the wall that so often separates academic critique from practical training, even, and sometimes especially, in law schools. CHRISTIAN W. McMILLEN. "Making Indian Law: The Hualapai Land Case and the Birth of Ethnohistory"
Abstract: "Making Indian Law" is an effort to explain the Hualapai case from a Hualapai perspective, but the book is more than that: It is an effort to position the Hualapai case as a turning point in federal Indian law. If McMillen had delved more deeply, he would have seen the case as a way station, not a turning point, and could have given us an example of what needs to be done to reach a true turning point. "Due process" a prose poem I wrote after a judge denied a prisoner's motion to hold the department of corrections in contempt for denying the terms of a court-ordered agreement to respect American Indian religious freedoms in prison. Indian Country Today "Native Currents," 16 February 2007. An interview with Charles C. Mann, Author of 1491: New Revelations of the Americas Before Columbus. Indian Country Today, 20 & 25 December 2005: Interview, Part 1; Interview, Part 2. The publication of Mann's book shifts the entire paradigm of 'discovery,' colonization and the history of indigenous peoples in the Americas. Combining research in linguistics, genetics, carbon dating, soil geography and epidemiology with recent findings from anthropology and archaeology, Mann builds an overwhelming critique of conventional stereotypes of the 'new world': he shows that the indigenous population was significantly greater and indigenous societies significantly more complex than the stereotypical views present. Wampanoag Fishing Rights, a lawsuit to protect Mashpee Wampanoag fishing rights. Trapp, et al. v. DuBois, et al., a lawsuit to protect spiritual freedom in prison. "PRISON AT NIGHT: Native Spirituality Behind Bars", an essay written after my first visit to the Native American Spiritual Awareness Council, before deciding to represent them in Trapp, et al. v. DuBois, et al. Western Shoshone challenge to "federal plenary power", litigation by the Western Shoshone National Council. Indigenous Peoples' Law and Legal Issues, selected resources for teaching about law and legal issues related to indigenous peoples of the world.